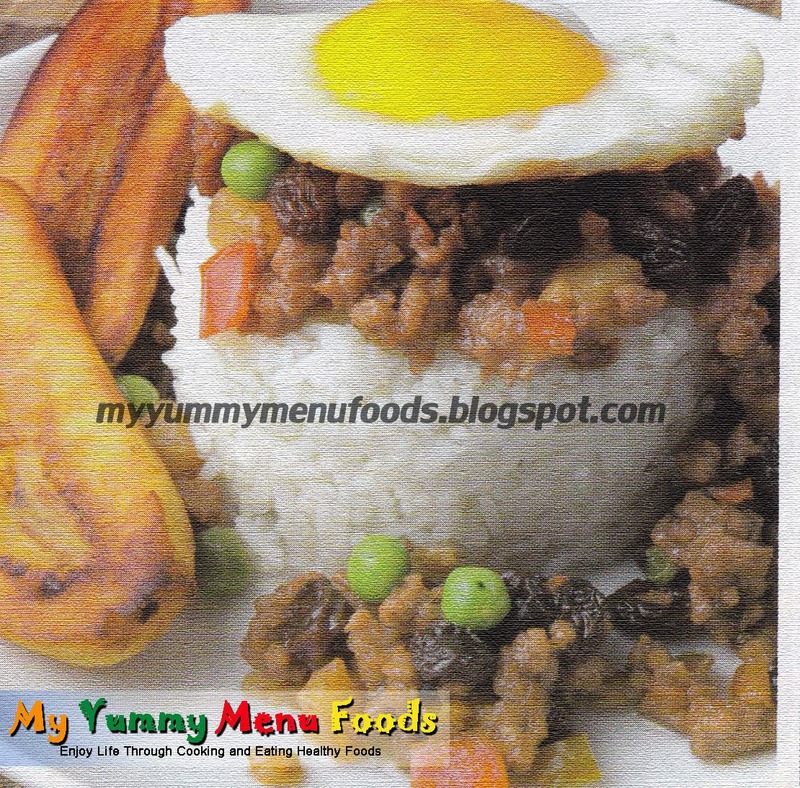 Arroz a la cubana or Cuban-style rice is a popular dish in the Philippines. The meat vegetable mixture in this menu is so tasty and flavorful. 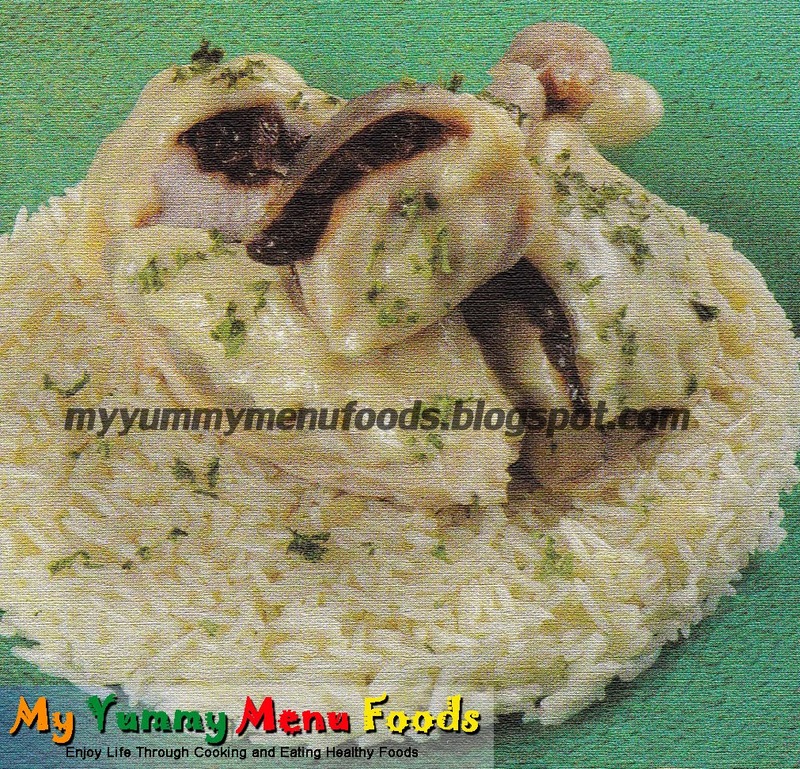 You can prepare this for your healthy and special dinner. 1. In a heavy stockpot, heat oil and sauté the garlic and until light brown, then add onions and cook until transparent. 2. Add the tomatoes and cook for 3 minutes. 3. Stir in the ground pork and beef then add the light soy sauce. 4. Add potatoes, red and green bell pepper, California raisins, salt, pepper and brown sugar and stir constantly. 5. Add the green peas and the catchup and simmer for 3 minutes. In separate skillet, heat the vegetable oil and fry the plantain slices until golden brown. Remove from heat and set aside. Plantain can be sliced lengthwise into 3 parts. Add paprika or chili sauce for those who enjoy a spicy meal. On a large platter, arrange the cooked rice with the meat in the center topped with fried eggs and surround the sides of the platter with the fried plantain slices. Serve hot. Plantains also referred to as “ cooking banana” used for cooking. 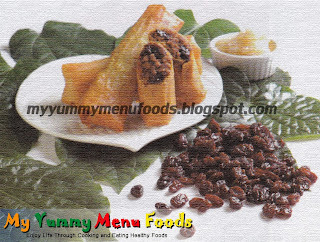 Lumpia are pastries of Chinese origin or fried spring rolls in South East Asia. 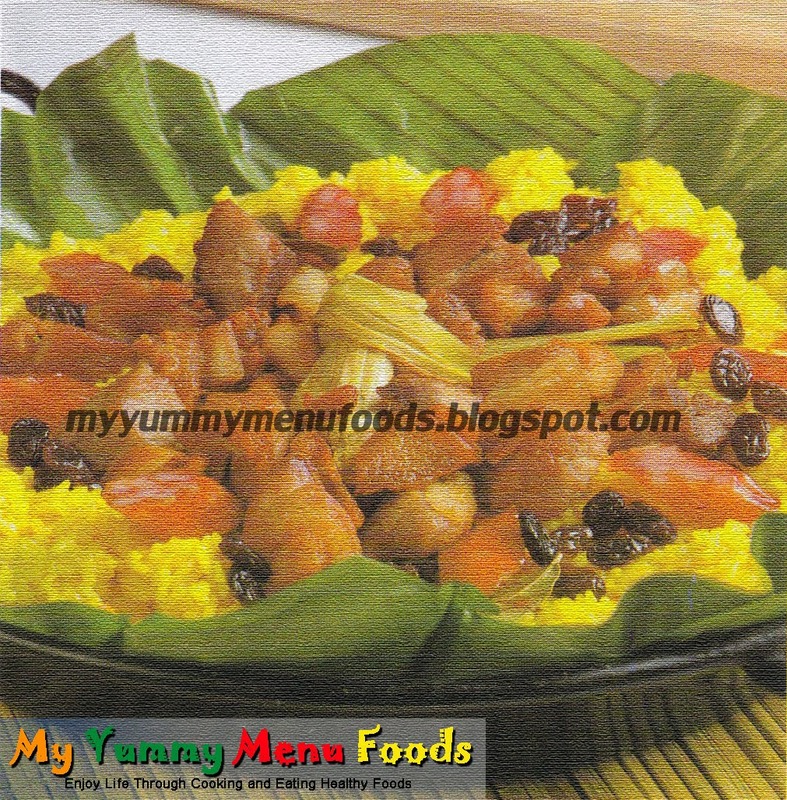 This is also a traditional Filipino dish. 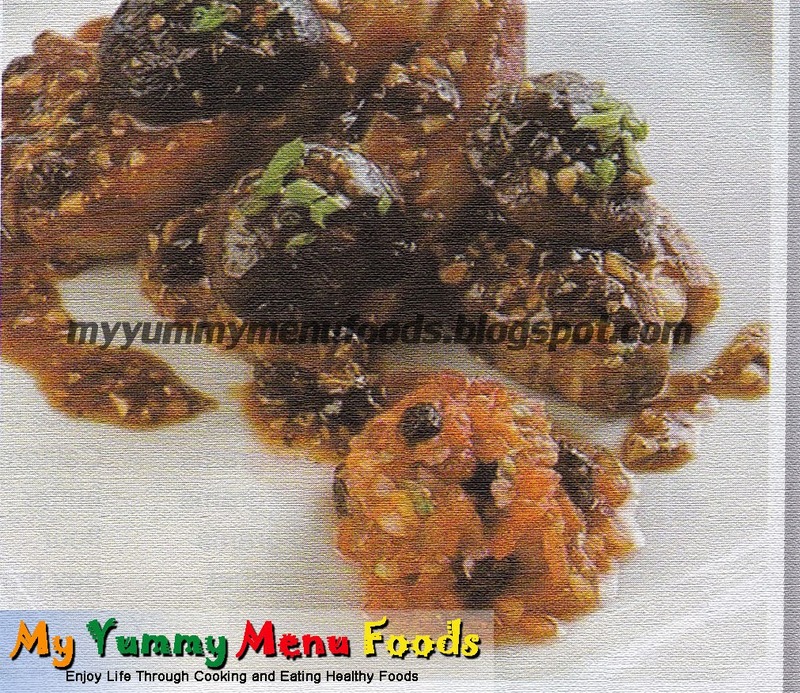 It can be served as a side dish, appetizer and can be also your snack. 1. Sauté onions for 4 minutes in oil and add garlic. 2. Add ground beef and cook for about 7 minutes. 3. Add light soy sauce. 4. Add raisins, season with salt and pepper. Cool. 5. Mix egg white to mixture. 6. Wrap in lumpia wrapper or spring roll. Seal with egg white. Serve with grated radish sauce.